UPDATED December 12, 2018: It was initially reported that Francisco Daniel Partida Soto was charged with 30 counts of second-degree felony forgery. However, he has actually been charged with 4 counts of forgery and producing false identification all of which are second-degree felonies. The Utah Attorney General’s SECURE Strike Force arrested Francisco Daniel Partida Soto for manufacturing and distributing fraudulent identification documents. An undercover investigation reported the purchase of forged Social Security cards and a Green Card through the mail. Agents were able to make an additional transaction in person, receiving 30 Green Cards and Social Security cards, at which point Soto was arrested. Francisco Daniel Partida Soto has been charged with 30 counts of second-degree felony forgery. For the full story, check out the coverage below. 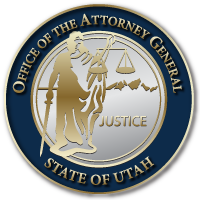 The Utah Attorney General’s Office administers and coordinates the SECURE Strike Force partnership with the Utah Department of Public Safety and county, federal, and city law enforcement agencies to combat violent and other major felony crimes associated with illegal immigration and human trafficking. This entry was posted in Recent Posts and tagged Green Card fraud, ID fraud, identity fraud, SECURE Strike Force, Social Security card fraud, Utah Attorney General on December 12, 2018 .